It’s a question we get now and again on our social platforms – including Twitter, Facebook and Instagram – so we decided to explain how speed management works when it comes to roadway construction zones. Let us first say this: we understand that speed zones are most effective when drivers consider them reasonable. That means consistently following standards, keeping speed zones as short as possible, and clearly communicating where speed zones end. That also means ensuring speed zone signs are covered, or removed, when they are not needed. Which begs the question: if no workers are present… shouldn’t the signs be covered? Yes, protecting workers is a big part of speed reductions in construction zones – but it’s not the only factor. Work zone speeds should take into account the type of work being done and the proximity of workers to traffic, but they should also factor in any changes in road characteristics. 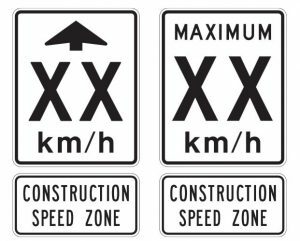 Not all reduced construction zone speeds are the same – the limit depends on the zone. Lack of shoulders or lane markings… to name a few. Remember: our goal is to protect workers and road users while keeping people moving as efficiently as possible. In order to support this goal, we have created guidelines for all construction traffic control, which are available in the Traffic Management Manual for Work on Roadways. Work zone safety is a two-way street, relying on proper traffic management procedures as well as caution from the driving public. The Cone Zone BC campaign website is a valuable resource for workers, employers and drivers to learn about their responsibilities and strategies for maintaining safety on the roads. Please check it out. Do you have any other questions about construction zones? Let us know in the comments section. 9 Responses to Why Slow Down if No Workers at Construction Site? Speed signs do not work as virtually everyone is speeding. There is almost no speed enforcement on our highways. If you travel at the posted limit every vehicle on the road will pass you and you will be tail gated for sure. It is totally out of control and people are injured or killed every day. The only time I see police on the highway is because of a accident. What happened to police patrolling and enforcing speed limits as I never see them any more. 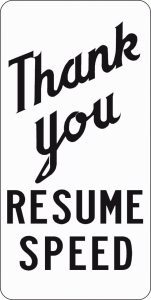 There was a construction zone on Hwy 5 north of Blue River that remained signed for approximately nine months with no activity. An employee of the contractor admitted to me that it was there so that CVSE could write tickets! Thanks for your comments about the speed zone on Hwy 5, north of Blue River. The speed reader board was located for about nine months, in a permanent speed zone that has been reduced speed to 70 km/hr, from 100 km/hr, through the community of Avola. It was there to remind motorists of the new speed limit. 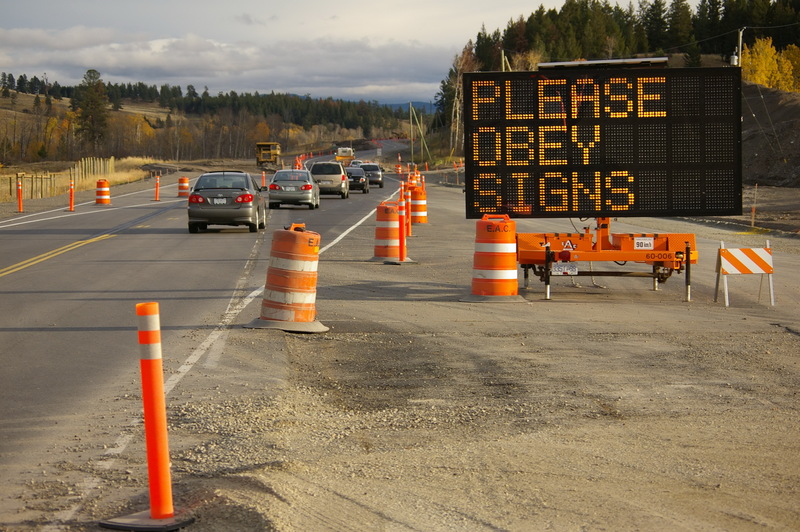 A speed reader board is not used by itself, in a construction zone. In constructions zones, there are usually a series of signs in advance of the temporary speed zone, and the speed reader boards are there to reinforce the posted speed limit, by showing the actual speed of the vehicle travelling through the zone. The RCMP and the CVSE (Commercial Vehicle Safety Enforcement) who issue tickets for excessive speed, base their documentation on data provided by routinely calibrated radar guns. I hope this clarifies the situation for you. I have been driving constantly on hwy. 1 and coquihalla hwy. since 2000. Every car I had had broken windshield . Most of the drivers had some problem. I don’t understand why they have to put a big rocks (gravel ) on the road instead of sand and keep the road in better condition. I drove couple weeks ago to Edmonton. ALL roads were in perfect condition no snow no ice and I didn’t see any of Alberta drivers with broken windshield. Small screened crushed gravel instead of sand is used because the particles in this mix are heavy enough to stay on the road in a wind, large enough not to vanish under new snow or freezing rain, and yet small enough to keep the frustrating windshield chips and paint dings to a minimum. Your best protection is to keep your distance from other drivers, and if you do get a windshield chip, have it fixed right away. I appreciate this explanation, and the acknowledgement that the zones need to make sense, consistently following standards, keeping speed zones as short as possible, and clearly communicating where speed zones end. Yes, that recognition is very helpful. I’m concerned that the decisions in these situations are left to individual contractors and not vetted by more experienced MOT staff. Yet traffic (1000s of commuters per day) was slowed 20Km below the (real) limit. I encourage the MOT to discourage construction zones that “cry wolf” as I fear these desensitize drivers to the real hazards. Thank you for this comment Greg – we appreciate hearing from you. Is there somewhere in particular you noticed these issues? If we knew the locations, we could share your concern with the local district staff for review. I fully understand the construction speed limit changes, items listed above are a very good example. What frustrates me is the flaggers leaving their signs up for weeks/months at a time. If there is no flagger standing there, take your flagger signs down. MoT needs to do something to enforce proper signage or the signs just become meaningless. Thanks for your comment Brian – we have shared your concern forward with our Traffic Engineers for review.